The Walt Disney Company announced Tuesday that it will donate $1 million to the OneOrlando Fund, as well as set up a program to match employee fund donations dollar-for-dollar, in the wake of Sunday's nightclub shooting. 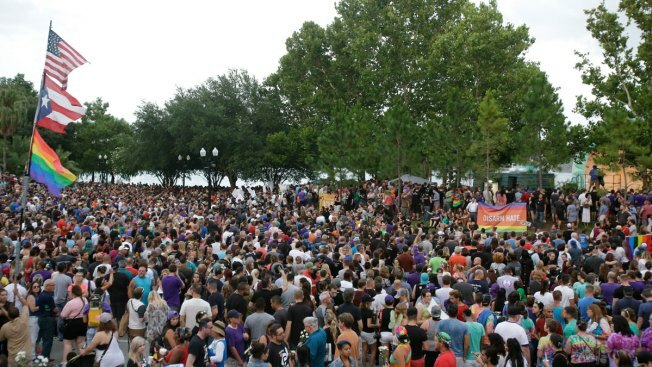 Orlando Mayor Buddy Dyer announced the creation of the OneOrlando Fund Monday evening at a vigil for the victims of the Sunday morning shooting at the Pulse night club. The fund, which collects donations at OneOrlando.org, was established to raise money to help the families of victims of the attack. The fund has already received a $500,000 donation from Darden Restaurants and $100,000 donations from JetBlue and the Orlando Magic, the Orlando Sentinel reports.